mAh per display square in. 232mAh/sqrin. 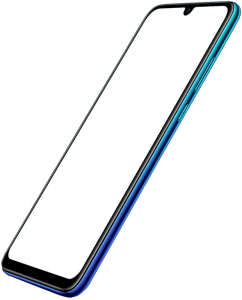 The P smart 2019 boasts a 19.5:9 display aspect ratio (It has a 6.2-inch screen), which was one of the widest screen setups on the market when it arrived, while it pays a tad more attention to design than most of its mid-end rivals, rocking a glossy ceramic-like finish on its 3D curved unibody. Also, it comes with a modest, but nevertheless respectable, 13- plus 2-megapixel dual-lens rear camera rigged with AI scene recognition. Pros/Cons Review The P smart 2019 does not go beyond 3GB of RAM and lacks NFC support, but it touts a wide 6.2-inch 19.5:9 screen alongside a dual rear camera. More on its mid-range specs in our technical pros-and-cons review here. 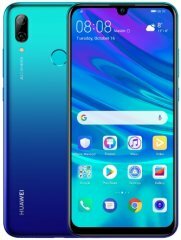 (more) Latest Huawei See all the new Huawei phones.